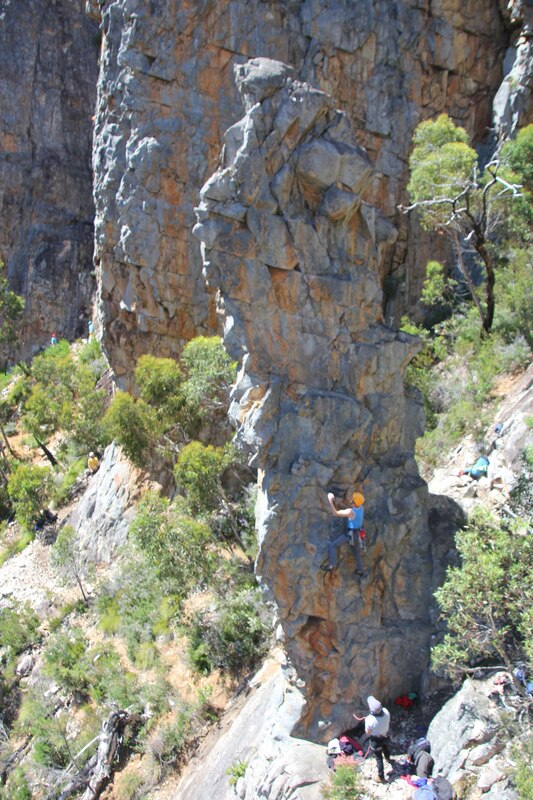 We’re running a last-minute trip to Dreamtime Wall in the Grampians for Easter. Autumn is the absolute best time to visit this crag. The focus for this trip will be on leading, not seconding. This trip is not suitable for beginners, but is open to climbers who can lead grade 18 in the gym, or who have outdoor lead experience (either sport or trad) around the same grade. Dreamtime provides some really good sport climbing. There are numerous easy and mid-grade sport routes, as well as some harder ones, and the bolts tend to be much more comfortably (closely) spaced compared to some other parts of the Grampians. 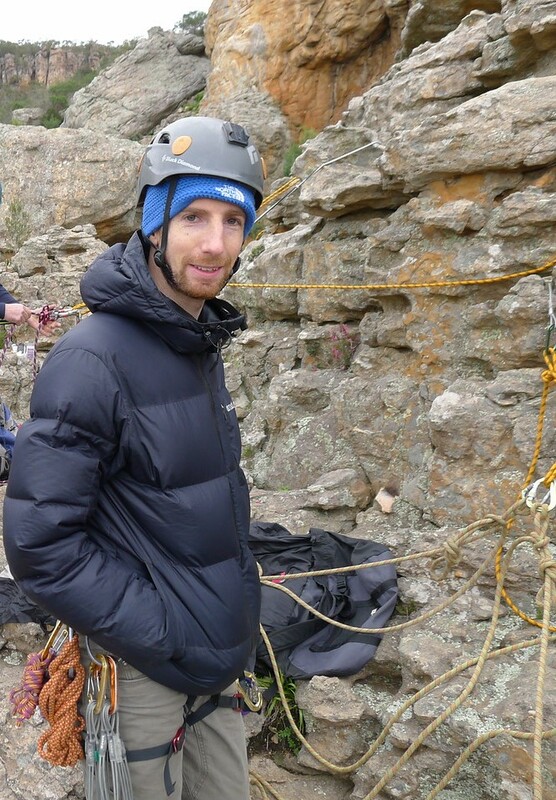 The routes are really varied, including some of the easiest sport routes in the Grampians, as well as some of the longest. If you can climb at least grade 18, there’ll be plenty there to keep you occupied for Easter. Many new routes have also been added to this expansive cliff in the past few years. We will be bush camping near the crag. It is important to contact Dave before the trip to receive the trip information. Note that there no mobile reception at camp or at the cliff. Please contact Dave, the Trip Leader, if you are interested in coming along on this trip. Photos: Trip Leader Dave Scarlett & Michael O’Reilly leading 234 Duck (18) on Prince Albert Pinnacle, Dreamtime.